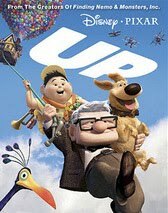 An old man ties thousands of helium balloons to his house and flies away on an amazing adventure in this equally amazing animated triumph from the ever-reliable dream-makers at Pixar. As moving and intelligent as it is colorful and funny, this for-all-ages flick is one of the year's best. "Super Size Me" may have exposed the dangers of fast food restaurants, but Kenner digs even deeper, showing us the ugly truths behind something much more sacred: our precious supermarkets. 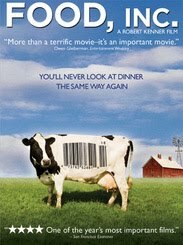 Focusing on the monopolizing, unhealthy and unethical practices of major agricultural companies, this frightening and fascinating documentary may just change the way you look at everything you eat. Director and TV vet Abrams proves himself a world-class action moviemaker with this exhilirating franchise reboot, a fast-paced, great-looking blockbuster that's both intelligent and fun. The cast is dynamite, especially Quinto, who gives one of 2009's most assured supporting performances as the famous Mr. Spock.